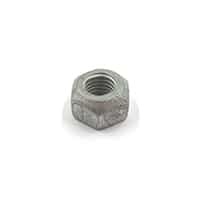 Special bolt with reduced-size head to fit classic Minis with catalytic converter. Sold each, four (4) required. Sold each, you'll need two. 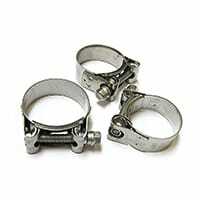 Set of three stainless steel band clamps to fit big bore LCBs. 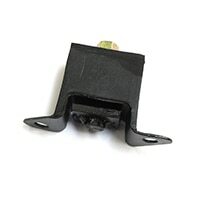 These clamps tighten down better that the ones supplied with the header, and are thinner. 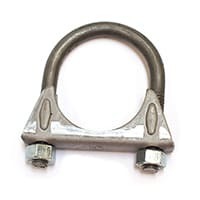 Front downpipe clamp that fits to the bracket (GEX7526)? on gearbox. 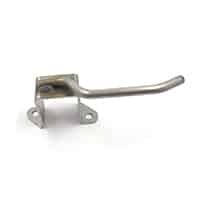 Front exhaust steady mount that bolts to the differential side cover on Minis equipped with rod change transmission. 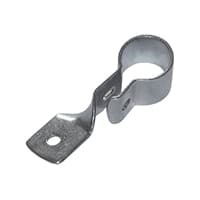 Cooper and Cooper S Minis used this bracket to double-up on the rear exhaust mount for added strength. 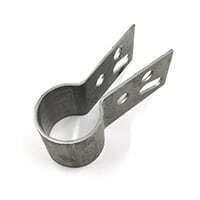 Easily adapted to earlier or later cars by drilling one hole in the subframe. 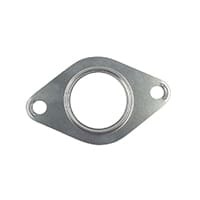 Heavy-duty flat band exhaust clamp in stainless steel, 1-5/8" diameter. Ideal for use in confined space. 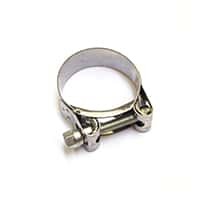 Conventional exhaust clamp to fit 1-3/4" pipe. 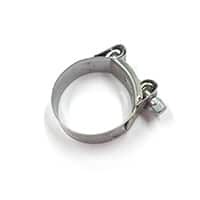 Heavy-duty flat band exhaust clamp in stainless steel, 1-7/8" diameter. Ideal for use in confined space. 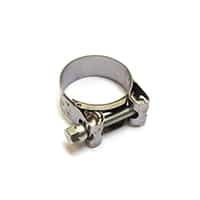 Conventional exhaust clamp to fit 1-7/8" pipe. 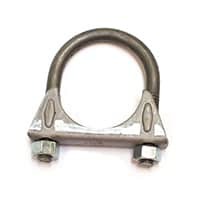 Two-piece exhaust clamp to the two-pipe cast iron manifold 1990-on, and also the single pipe manifold 1991-on. 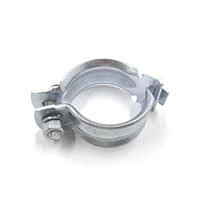 Universal exhaust clamp to fit 2" outside-diameter pipe. Fitting kit for the 850/998 Sedan exhaust system. 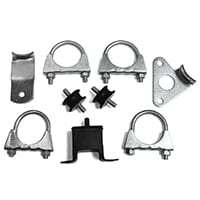 Includes all of the clamps and hangers you need to fit any car with a stock cast-iron manifold, 850 and 998cc. 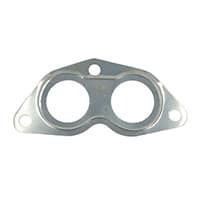 Flat sheet metal gasket between the cast iron exhaust manifold and the down pipes of SPi and MPi Minis. One per car. 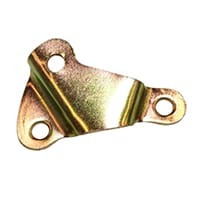 Metal exhaust hanger strap at front of rear subframe. Exhaust hanger strap, from the rubber mount at front of rear subframe to the pipe. 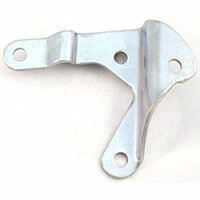 Rear exhaust hanger bracket for the classic Mini saloon, up to 1990. 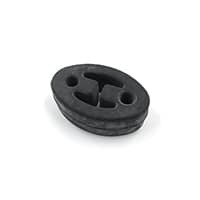 Slides over the tailpipe and attaches to the GEX7251 rubber spool mount. 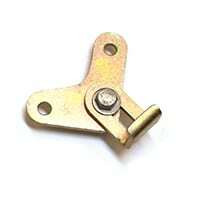 Spool or bobbin mount for exhaust bracket at rear of rear subframe. One or two required. Sold each. 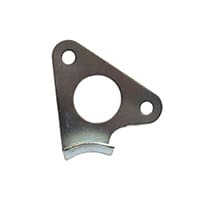 Square block exhaust mount. 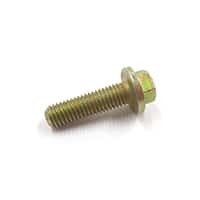 Bolts to front of rear subframe and is the main support for the exhaust system. Used up to 1990. 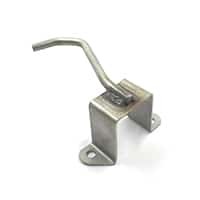 Heavy-duty version of the square block exhaust mount. 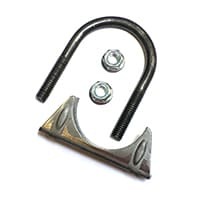 Bolts to front of rear subframe and is the main support for the exhaust system. 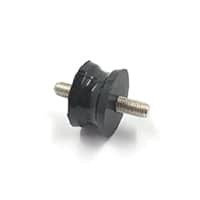 Spool or bobbin mount for exhaust bracket at rear of rear subframe. 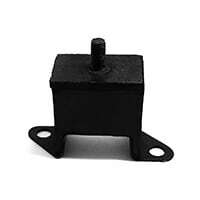 Made of polyeurethane for long life. 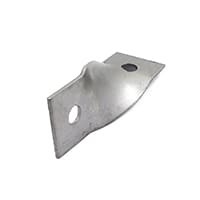 Isolating rubber ring hanger exhaust mount for 1990-on cars. Fitting kit for the RC40 exhaust system. 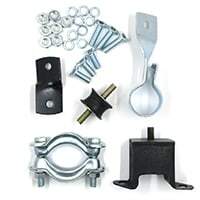 Includes all of the clamps and hangers you need to fit an RC-40. 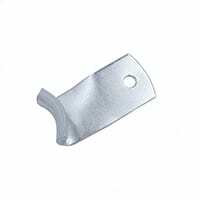 10mm thread, self-locking, all-metal for heat resistance. Sold each. At the left rear of the rear subframe, an exhaust hanger is suspended on two (2) spool-shaped rubber mounts (GEX7251). 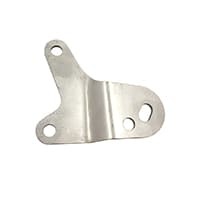 Metal bracket that attaches to gearbox bolts to steady exhaust manifold and prevent excess movement that can crack the manifold. Mild steel as original.